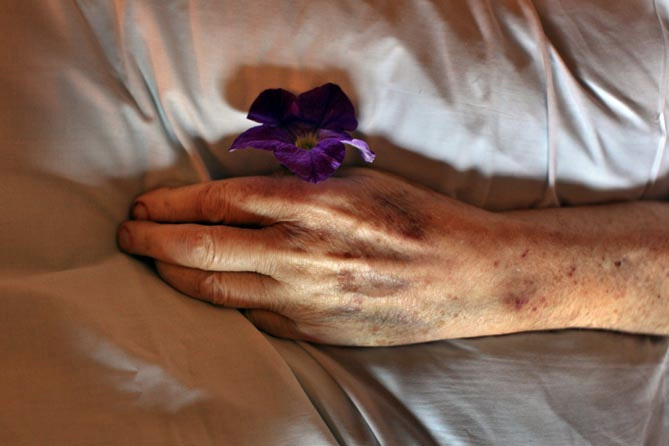 On February 12, 2010, just after my father took his last breath, a Hopsice nurse slipped a purple flower into his still hand, put a candle on the bedside table and left me to absorb the moment and say good-bye, as the sun slowly went down outside the Sarasota Hospice House. Two years later today and the moment still feels raw. After the experience of being by my Dad’s side through his battle with lung cancer, so many of the decisions and choices in business and daily life are much easier compared to the life depending calls I made for my father’s care at the end of his life. The last two years have been jam packed with big life changes for me, personally and professionally. I’m hoping to get a few personal updates from the last year posted in the coming days, before giving birth to my first child. I love and miss you always, Dad.